After countless Angry Birds games based on the same original formula, Rovio has tried to diversify it a bit recently, starting with Angry Birds Go, which was a kart racing game (*cough* Mario Kart *cough* Sonic & SEGA All-Star Racing *cough*). 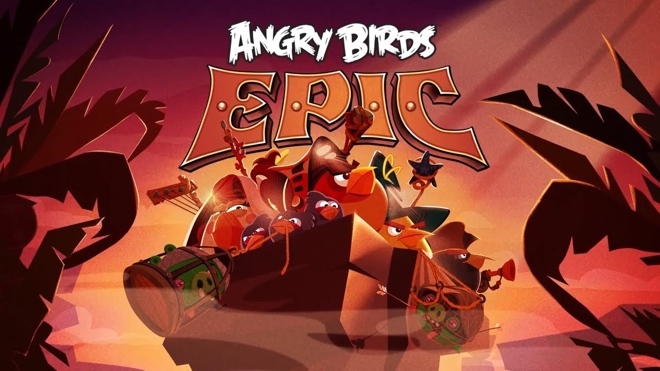 The latest game in the Angry Birds series is Angry Birds Epic, which like Angry Birds Go has very little to do with the original games and is actually an RPG. 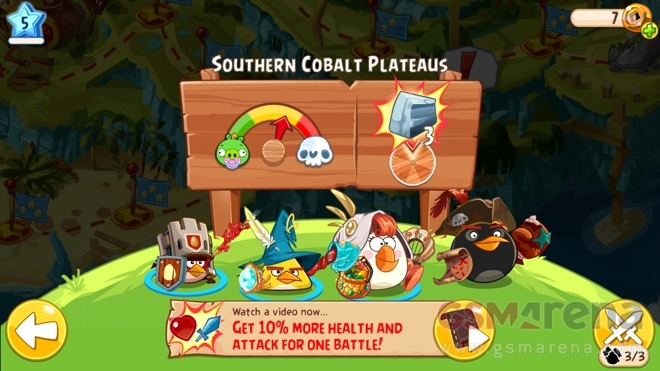 Angry Birds Epic is a turn-based RPG (role-playing game). You choose the characters you want to play with in a battle (you can choose three at a time). 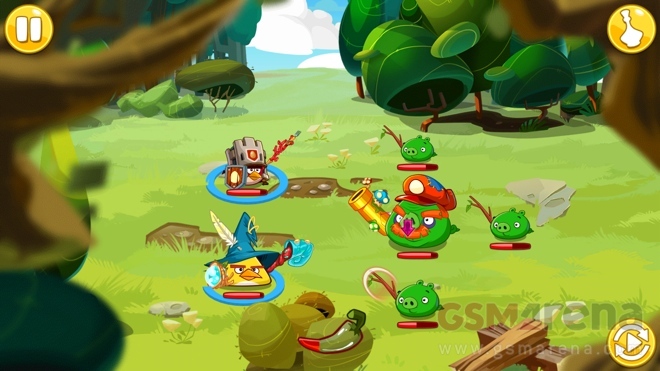 Within a battle, you and your enemies will take turns to attack each others, with each of your characters going first followed by each of the enemy characters. The main characters in this game are obviously the birds from the previous games but they have none of their usual abilities. As with most RPG, each of the bird belongs to a class, so the red bird is a knight, the yellow one is a mage, the white one is a healer, etc., and accordingly they perform in battle. 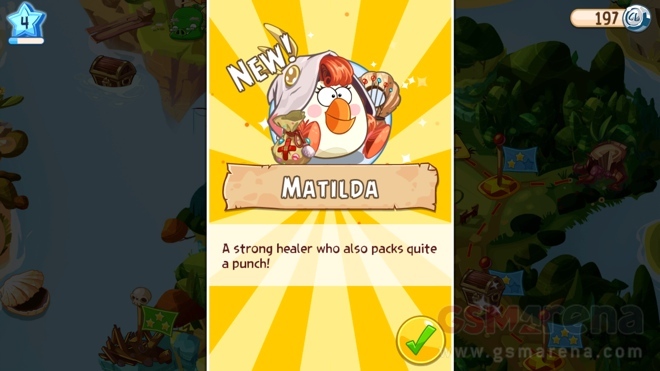 The red bird will attack the enemy with its weapon, the yellow bird uses magic to summon lightning upon the enemies, the white bird will attack and at the same time heal the other birds with every attack. The enemies in the game are the pigs. Like the birds there are different types of pigs as well, with varying sizes, attacks and stamina. You can tap and hold on each of the characters to see their abilities. All the characters have an individual health bar. Your job is to kill all the pigs before they kill all the birds on your team, and then you progress to the next level. Since this is an RPG, you have upgradable items and abilities. As you play, you unlock newer weapons and armor for your birds. You also obtain special items that can be used to forge items such as potions that can be used to restore health during a game. As you play, you unlock more characters and they keep leveling up, which means greater strength and increased resistance to attacks. The actual gameplay is simple. You tap on one of your birds and swipe your finger onto the pig you want to attack and then the bird attacks. 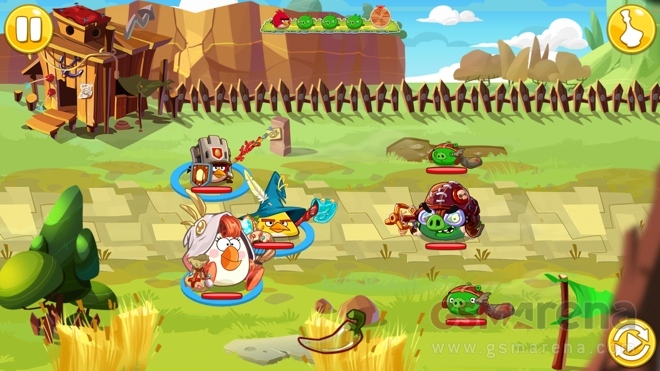 Some attacks are directed to that particular pig but some, such as the lighting attack of the yellow bird, affects all the pigs in the area. You can also drag from one bird to another and although you lose the turn for that bird, the other one gains extra strength for its attack. There is also a red chili power that can be used during battle. 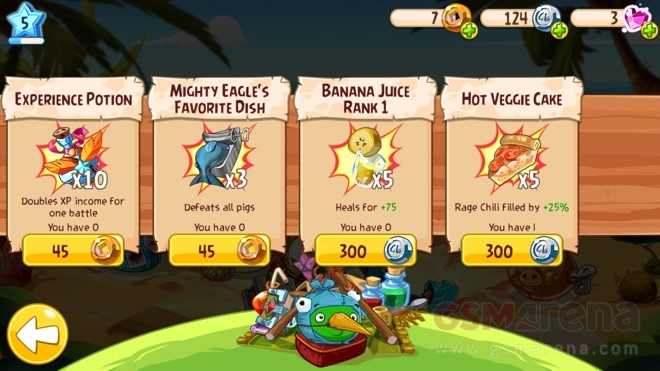 As you attack or get attacked, the red chili at the bottom of the screen fills up and when it is full you can use it on any one of your birds to unleash a more powerful specialized attack that does extra damage to the enemies. 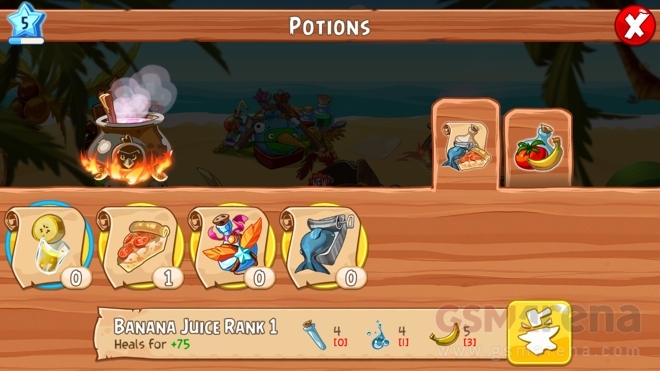 During a battle if your health runs low, you can drag the health potion on any of your birds to recharge their health. There are also other items that help you regenerate the red chili faster or kill all pigs in the area in one move. There are several other special items in the game as well. All of these can be purchased using the gold coins you get in the game as you play. If you run out of that, you can purchase additional coins using real money. Angry Birds Epic is free, so naturally there are a lot of IAP (in-app purchases) in the game. By that I mean you can purchase a lot of items, but you don’t necessarily have to. I have been playing the game for quite a while now and I never felt like spending any real money to buy anything. Rovio makes up for the $0 admission price in other ways as well. There are ads in the game, and not the pop-up sort that used to appear in older games but fullscreen video ads that play for a few seconds. These are very rare but they are there nonetheless. In some cases, the game tells you that you can get additional points or items by watching a video ad. The ads are always of Rovio’s own games and are not all that bad actually and other than the few times they pop up on their own they are optional. 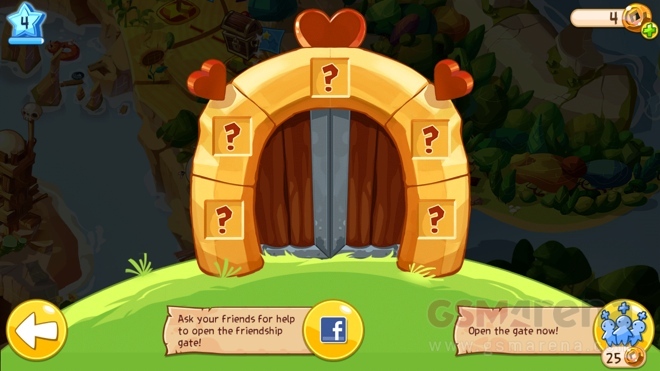 The game also lets you connect to Facebook to share items with your friends and you can ask them to unlock certain parts of the game (which is optional). You can also log into the Rovio account to sync your progress across devices and platforms. Overall, I would say the game is fun. I am not a huge fan of RPG in general because I find them too complicated for my taste but Rovio has managed to dumb it down enough to make it approachable for people like me while maintaining the basic aspects of an RPG. I kept playing level after level, unlocking more characters and getting more experience and items. I don’t remember the last time I spent so much time playing a Rovio game. 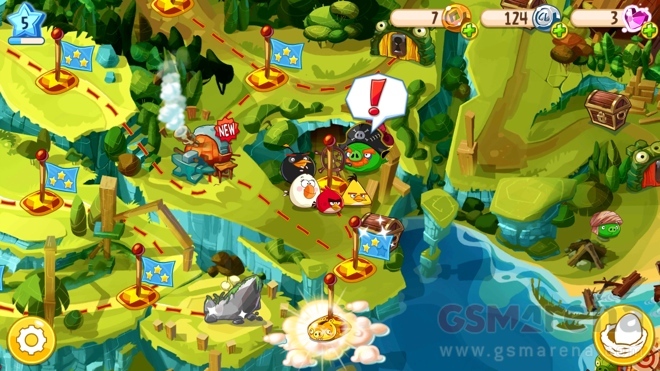 Visually, Angry Birds Epic features crisp, vivid animations and art design. The general quality of visuals has improved greatly from the days of the old Angry Birds games and Epic does look quite pretty at times. I especially liked the design of the map, the small animated sequences in between and the design of all the pigs. Even the powers and attacks of both the birds and pigs were well animated. The game looks good and if you have a nice, high resolution display on your phone or tablet the game will really pop, especially if its an AMOLED display, in which case you’ll need to wear sunglasses. Audio-wise, there is nothing particularly remarkable here. The music is the typical Rovio/Angry Birds stuff, as are all the bird and pig sounds. The sound effects are decent, but that’s about it, really. 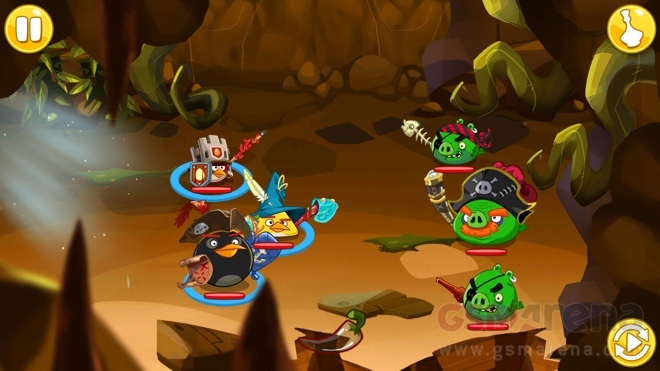 Angry Birds Epic is a fresh new direction for the Angry Birds franchise that had started to get long in the tooth. 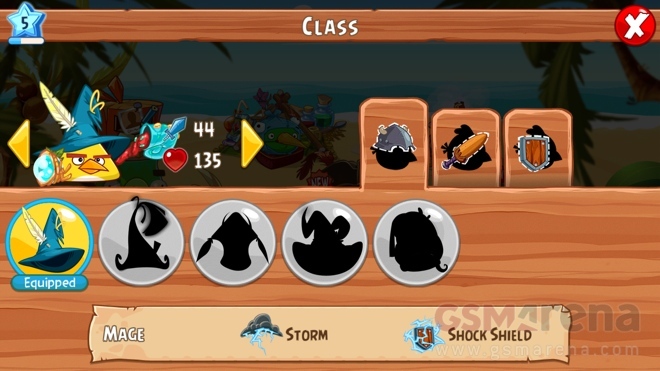 Not being like the previous Angry Birds games would perhaps be its biggest plus point, but it’s a lot more than that and Rovio has managed to deliver a genuinely entertaining game here, with simple RPG mechanics that are easy to learn and master. There are plenty of levels and a lot of fun to be had as you unleash all your cool new abilities on the pigs who, for once, will fight back just as hard. The game looks good, too, and although there are IAP in the game the game does not penalize you for not purchasing them. Overall, for the price of $0 you get a lot of game and several days worth of good entertainment. Note: The game was reviewed on a Nexus 5.